Gen-Con rolled past recently and with it, Soda Pop usually releases a new miniature for Super Dungeon Explore. 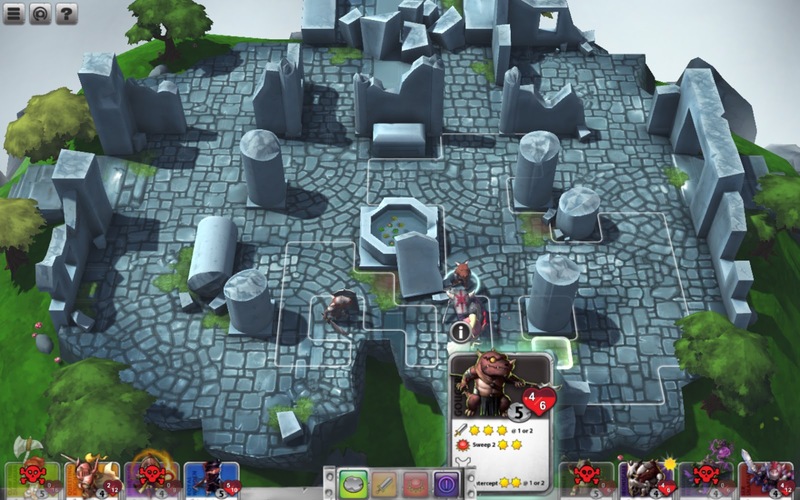 This year though, there was no new mini, most likely due to the release of Super Dungeon Explore: Forgotten King being so close. 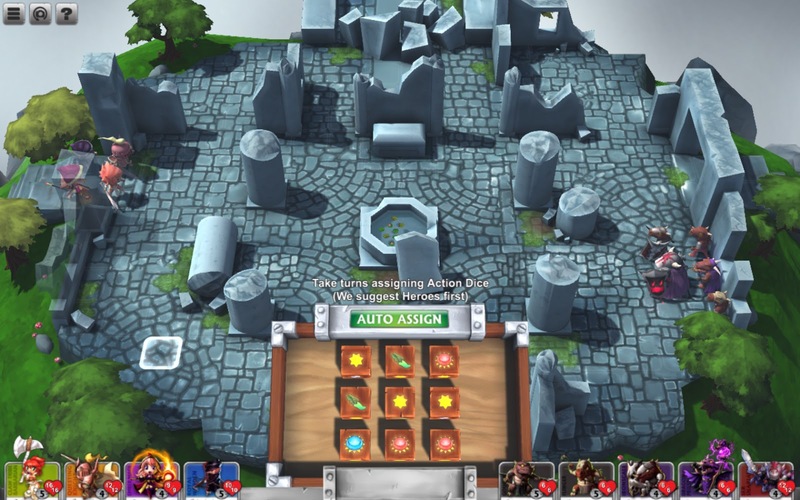 Instead, Soda Pop released a limited edition USB drive shaped like the Boo Booty monster chest from SDE and on it an alpha version of a new SDE video game, Super Dungeon: Tactics. But, good news for me and my fellow Gen-Can'ts, Soda Pop decided to sell them not only at Gen-Con, but also on their online store and PAX. In limited quantities of 150 each. As soon as they released it on their store for order I hopped on it, not even realizing it had a game on it until after I visited the store page. Well, after waiting a month for it to ship out, I finally have it in hand and am here to show it off and give my thoughts on the video game itself. The Boo Booty itself is made out of a soft rubbery vinyl and looks like it will hold up for a long time. Of course, mine will never see daily use, as I bought it mostly as a collector's item. But I could see it holding up for a very long time if used a lot. The drive itself weighs in at 8GB worth of space and the game data that is inside takes up little more than 380MB. So there's still plenty of room in there for saving things to it, no problem. 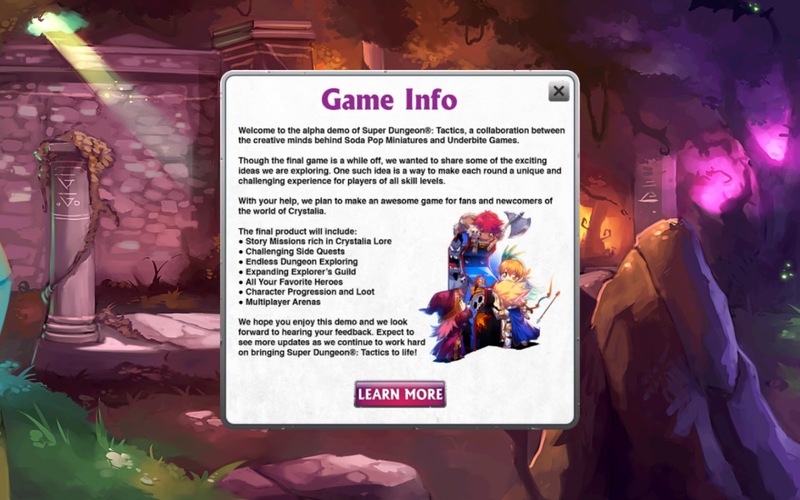 The game itself is being made in collaboration with Underbite Games. I'd never heard of them before so I started doing a little bit of research into them. From the looks of it, they have made a bunch of Web Browser and iOS/Android games. One of which is Farmville, which they worked on as development support. 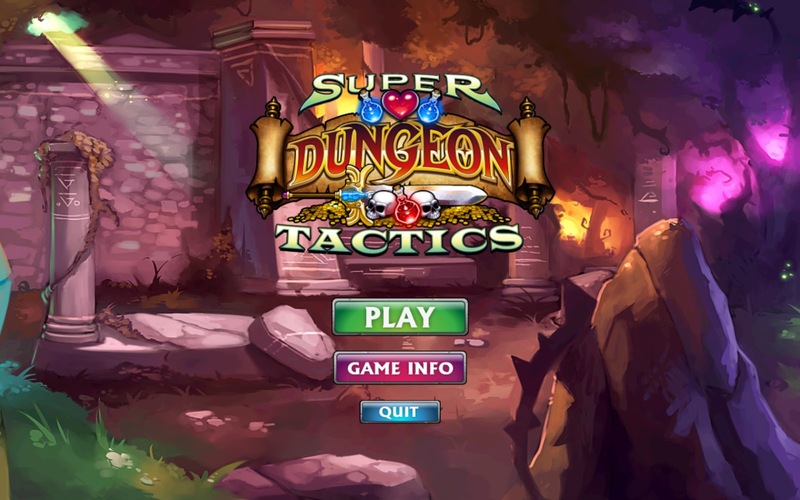 After installing the game (which comes in both PC and Mac versions), you are greeted by a nice fancy Super Dungeon: Tactics title screen, complete with the SDE artwork we've all come to know and love. Clicking the "Game Info" button brings up this dialog box explaining that this is an Alpha version and it is still very much a work in progress. But explains what their goal for the game will eventually be. I'm all for endless adventuring! Once the game starts, you get 7 pages of rules explaining various aspects of the game. Basically, each turn the you get a move and an action. But if you roll a Defense Special or an Attack Special, and win it in the Dice selection game, you can use the specials. Attack Specials have to be selected, but it seems that defense specials are automatically used when you're attacked. Next up, each side gets to pick their party's starting formation. Rather than placing the models individually. You have 4 to choose from, Spread Out, Grouped Up Top, Grouped In Middle and Grouped On Bottom. Since I was playing myself, it didn't seem like the choice really mattered though and its not a secret in vs. play anyway. Eventually both groups meet in the middle to duke it out regardless of starting locations. At the beginning of every round dice are rolled that feature bonuses. Each person takes a turn selecting one and giving it to one of their models. This is a brand new idea for Super Dungeon: Tactics, it's meant to give each round a different feel. But it just seems to make the start of each round drag out. I'm not sure I dig the idea that Attack and Defense specials are tied to if you win a die though. I like the action point spending mechanic of the board game a lot better. Instead, I'd like to see it become a random bonus your characters get, in addition to their special attack and defensive actions. Moving leaves a lot to be desired. In order to move your character you need to click and drag them into position. I always clicked my character and then clicked the location where I wanted them to move, but then remembered I needed to drag them instead. I hope that in the finished version it will be a simple select and click to move pieces around. It is nice that your attack distance shows while you're moving though, so you can set them down exactly where you want them to be. One issue I noticed was the cards on the bottom. When you have a model selected for its turn, their card pops up on the screen and it covers that section of the map. It only blocks a few squares, but since the bottom corners are empty of squares, it would be nice if the active card showed in the bottom left or right corners instead. It's a minor gripe and since it's a very early version of the game I can't complain too much. But still something I thought needed to be pointed out. I restarted the game a bunch of times before playing all the way though. In the end the Kobolds won the day, with a Flinger, Ser Snapjaw and an Ironscale still standing. the Royal Warden was the last of the heroes to fall. 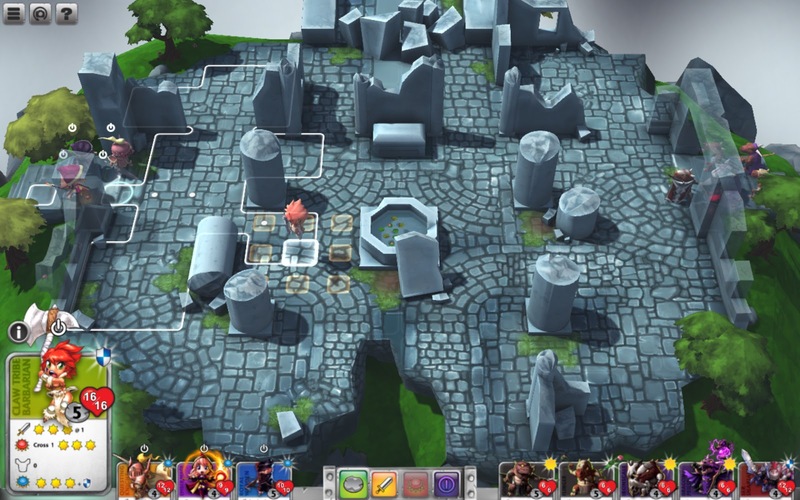 Overall, Super Dungeon: Tactics could end up being a really fun game, when it's finished. Currently it feels like a mobile game hiding in a .exe file's clothing. But since it is an Alpha version of the game and it's a very early version, I can give it a lot of leeway. Gameplay wise, I feel the movement needs to be fixed for sure. Maybe just allow the model to be selected and then show the a ghost of the character under your cursor with the attack range surrounding it. I also wouldn't mind adding facing into the game. Unlike the board game where facing doesn't matter, in a tactical video game sometimes facing can be a huge advantage. Soda Pop is already playing with facing on their Ninja All-Stars board game, why not introduce it to the video game version of Super Dungeon Explore? I think each character needs to have the abilities and actions that are in the board game as well. I'm not really a fan of the rolling to see if you can get a special attack or defense off this round. Part of the fun of SDE is having to weigh which actions you want to spend points on that turn. Where here it is mostly Move up and use the attack action, unless you got lucky and scored a special die in the round robin die off. I think the action buttons need to be tied to the 1, 2, 3, 4 keys on the keyboard rather than the Tab key. So many games already use the number keys for abilities, it just seems more natural. I rarely pressed Tab to select actions too, instead opting to click them on the task bar. 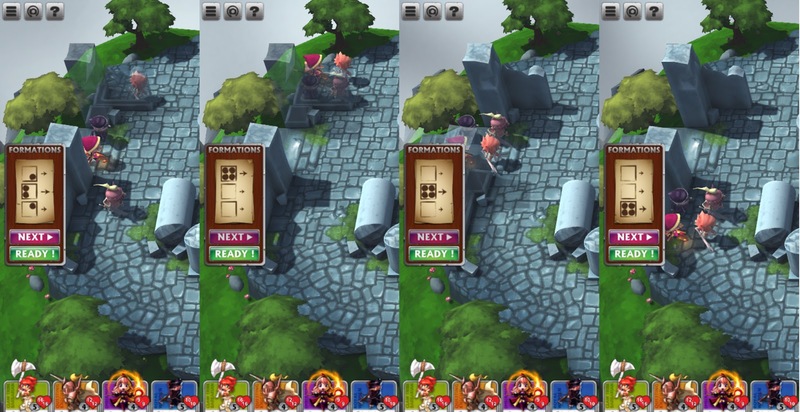 Also, rather than needing to click End Turn's check mark for ok on the screen, once a model is out of actions it should automatically switch to the other player's turn. Having the confirmation for ending it when there is nothing else you can do seems like an extra step that is unneeded, unless you accidentally click "End Turn" on the task bar. Overall, it looks like a Super Dungeon Explore video game and parts of it feel like a Super Dungeon Explore video game. But without the Claw Tribe Barbarian's whirlwind, or the Flinger's Smoke Pots it just felt like it was a move and attack game without strategy. The control scheme needs to be more natural as well and less "tablet game" feeling. Currently I don't think I could sit down for hours of dungeon delving the way it is, it's clunky. Either way, I'm super pleased with the Boo Booty USB drive and it is now sitting in my SDE display case next to all my painted figures. I'll be keeping my eye on this to see how it develops and hopefully it blossoms into a game worthy of Super Dungeon Explore.